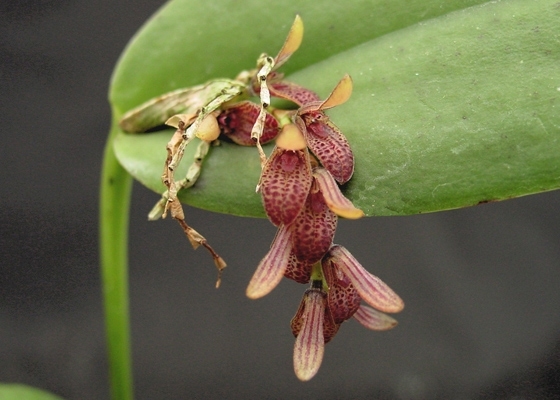 For enthusiasts of bizarre-flowering orchids this species from Brazil is sure to delight! 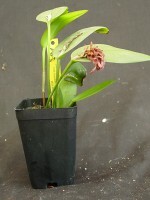 A series of tear-drop shaped, deep burgundy flowers bloom from the base of the leaf along its center.Intermediate growing. July - August blooming. Species from Brazil.